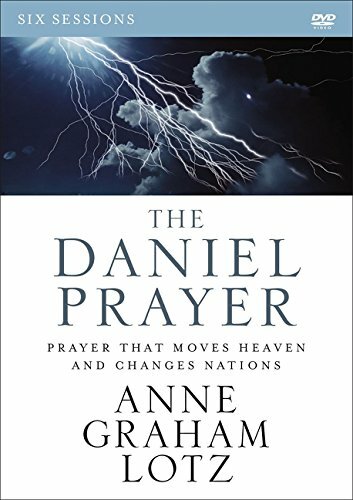 In this six-session video Bible study (study guide sold separately), bestselling author Anne Graham Lotz looks at the life of Daniel and unpacks the prayer he prayed in Daniel 9. Unlike the everyday now-I-lay-me-down-to-sleep kind of prayer, this is a prayer birthed under pressure. A prayer in which the pray-ers return to the cross and repent of sin. A prayer that changes hearts and nations–even in our world today. This video is designed for use with The Daniel Prayer Study Guide (sold separately). A Facilitator's Guide is on the DVD only, with the Additional Resources.